If you’ve ever watched a movie or TV, then you’ve definitely seen the results of cosmetic dentistry. The secret to those sparkling smiles often lies with the stars’ cosmetic dentist! Now, you can get the same kinds of results right here in Metairie with Nelson Dental Care. Dr. James R. Nelson and our team can do everything from simply whiten your teeth to completely makeover your smile in just a few visits. It’s entirely up to you, and no matter what kind of smile you want, we’ll make sure that it always fills you with confidence. Porcelain veneers are one of the most popular cosmetic treatments because they’re simply the best way to fix multiple cosmetic flaws all at the same time. They are actually extremely thin ceramic coverings that are bonded to the front of the teeth using a small amount of dental cement. Each set is completely custom-made, so you can get everything from a slight touch-up to a complete smile transformation if you desire. It’s all up to you! The porcelain material won’t just make your teeth look great, but it’ll also make them stronger as well. Plus, it’s actually stain-proof, meaning your smile will stay the same pristine white color for years to come. In as little as 2 or 3 appointments, we can make sure that you see your dream smile in the mirror every morning. When you come to our practice to have a damaged or decayed tooth repaired, we won’t simply give you a metal crown that will always stick out in your smile. We’ll offer you a better solution, one that combines the best aspects of both restorative and cosmetic dentistry. For this, we can offer you metal-free restorations. 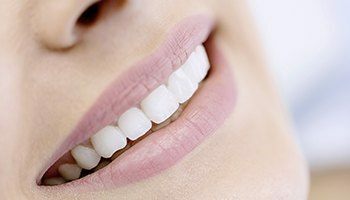 These all-porcelain crowns, bridges, inlays, and onlays will do more than just make your damaged tooth strong again—they’ll also look completely natural and make it blend in perfectly with the rest of your smile. That way, you’ll be able to rely on it just like a normal tooth, whether you’re smiling, laughing, or taking a bite out of your favorite food. Plus, because these restorations are metal free, they won’t make your teeth sensitive to hot and cold temperatures, and they are perfect for those with metal allergies. Do you have a small chip, crack, or gap in your teeth that throws off your smile’s entire appearance? 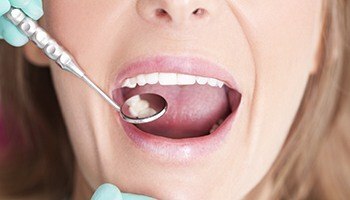 To fix these kinds of minor problems, we can use a quick and easy treatment called dental bonding. For this, Dr. Nelson will gradually apply thin layers of a composite resin to your tooth and use them to literally sculpt away any imperfections. Once he is finished, he’ll give you a chance to approve the final look, and then he’ll quickly harden it using a special curing light. After that, you’re finished! You’ll be shocked at how natural it looks and feels. This is one of the easiest cosmetic treatments available today, as it can be completed in as little as an hour without needing local anesthetic or a messy dental impression. With the right care, your dental bonding can easily last for 10 years or more. Do you enjoy a daily cup of coffee or the occasional glass (or two) of wine every night? If so, these beloved beverages (along with factors such as smoking, aging, and genetics) could easily be staining your teeth, causing them to look dull, discolored and yellow. 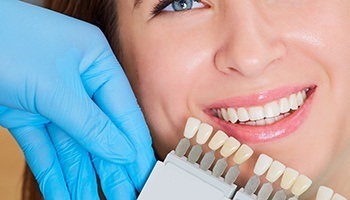 While you might be tempted to pick up a whitening treatment from the store, by far the best and safest way to brighten your smile is with the professional treatments offered by Nelson Dental Care. With us, we’ll not only guarantee a smile that’s up to 8 shades whiter, but we’ll also reduce any post treatment sensitivity and give you results that will truly LAST. We actually have two different whitening treatments that are perfect for all kinds of patients. If you’re looking to get immediate results, then we can perform a complete in-office treatment using Opalescence Boost that takes less than an hour. If, however, you’d like to whiten your smile more gradually in the comfort of your own home, we can actually make you your own customized Opalescence kit. Regardless of which treatment you use, the end result will be a dramatically whiter smile you’ll be eager to show off! Zoom! is a highly popular teeth whitening service that is regularly used to lighten discoloration of tooth enamel and dentin. The in-office procedure involves a combination of the Zoom Advanced Power Chairside Lamp and a professional-strength hydrogen peroxide solution. After undergoing a short preparation of the lips and gums, we’ll apply the gel and activate it with the light in 15-minute sessions. After three sessions that add up to less than an hour, patients will be provided with a touch-up kit they can also use at home to keep their dramatically brighter smile at the same confident level for months and years to come. Wouldn’t it be great if you could see what your smile would look like after a cosmetic treatment before you actually got it? With our digital imaging system, that’s exactly what you can do! We’ll take pictures of your smile and process them with our in-house software to create your own “before and after” photos. This will give you a better understanding of what to expect from a particular treatment, and you can even take these pictures home to show your friends and family and see what they think. Plus, after looking at them, you can even ask Dr. Nelson to make small adjustments so you can be sure that you’re getting the exact smile you want. Only once everything is perfect will we start your treatment. 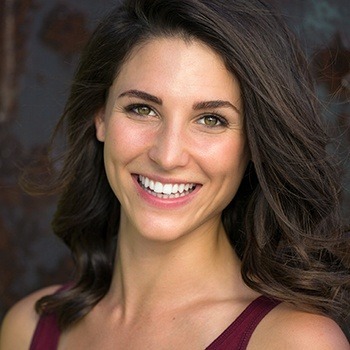 The type of cosmetic dentistry we do here is meant to do more than just make your teeth look fantastic—we want to give you a smile that fills you with confidence and motivates you to take on the world. Anyone can give you a beautiful smile, but we’re the only practice that will make sure you’re smiling on the inside as well. To start getting the smile you’ve always wanted, simply contact our office today. We are based in Metairie, so we’re happy to see patients from Bonnabel Place as well as Lakeview and West End, New Orleans.